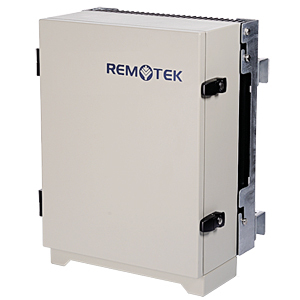 Cable Booster MIMO - Remotek Corporation The Cable Booster (MIMO) supports the 4G LTE MIMO technology, and is a great choice to extend the 4G LTE MIMO coverage of the eNode B to dead spots or shadowed areas especially for large office buildings, hotels, shopping malls, etc. With the embedded unique function of Intelligent Mode, the Cable Booster (MIMO) would be optimized automatically. It could be remotely controlled via a graphical user interface software. Therefore, the monitoring and maintenance of the cable booster (MIMO) is plain and simple. The Cable Booster (MIMO) supports the 4G LTE MIMO technology, and is a great choice to extend the 4G LTE MIMO coverage of the eNode B to dead spots or shadowed areas especially for large office buildings, hotels, shopping malls, etc. 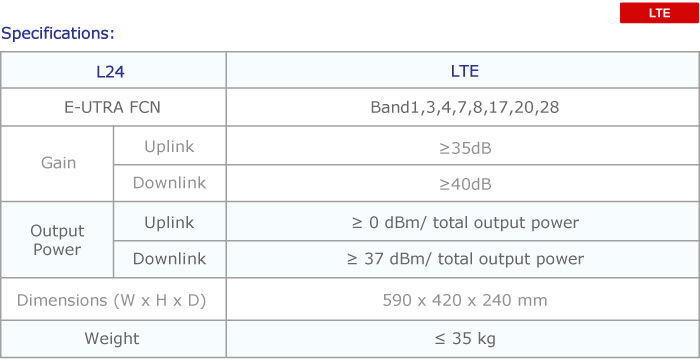 With the embedded unique function of Intelligent Mode, the Cable Booster (MIMO) would be optimized automatically. It could be remotely controlled via a graphical user interface software. Therefore, the monitoring and maintenance of the cable booster (MIMO) is plain and simple.